If we are to ensure the future health of our planet and our children, we must prioritize the simple idea that children need to go outside and play. It is our job to provide them with the freedom and the wild and semi-wild places in which to do so. Biophilia is the instinctive bond between human beings and other living systems; it has been described as a mystical feeling of both being separate and a part of the whole. Biophilia nurtures a sense of wonder and delight, and this experience provides the empathy and foundation for a life of caring about the natural world. It is not uncommon for children who spend a lot of time in nature to have a mystical or transcendent nature experience sometime between the age of 5-12. People who have felt this sense of timelessness and connectedness with nature are profoundly affected, and researchers who have studied environmentalists found that they all had something in common, as children, they spent lots of time rambling in neighborhood woods and fields and had a parent or teacher who cared about nature. As both a parent and educator, I have worries about current educational practices, parenting trends, and the continuing diminishment of both time and green spaces. I believe that it is critical for young children to have plenty of free, unstructured outdoor play, as well as access to wild or semi-wild areas to explore and bond with nature. Children use play to engage with and learn about the world around them. Through exploration they develop new skills, and as a result, become comfortable and confident in their bodies. Far from being a frivolous activity, outdoor play in nature is essential to healthy cognitive, social and emotional development. Regular exposure to nature can help relieve stress ADHD, and depression, as well as reduce bullying, combat obesity, and boost academic scores. My childhood experiences allowed me to bond with the natural world and to experience it, not only physically, but with a strong spiritual connection. I was one of six kids and grew up in a small town in Wisconsin. We practically lived outside, no matter what the season. I spent my days frog and tadpole hunting, catching salamanders and turtles, trying to nurse baby birds who had been blown out of their nests, and was eager to share all the treasures I had found. We camped out in our treehouse, fashioned igloos and snow forts, went canoeing on the river, shoveled ice-skating rinks on the lake, climbed big trees, learned about winds in our 12' sailboat, and roamed widely on foot and our bicycles. All of this adventuring without overt parental supervision! My mom says "they would probably arrest me today for the things I let you kids do". It's not that my parents did not know what we were up to, or where we were headed; the big kids were expected to look out for the little ones, and we did ( FYI: the one place that we were ALWAYS supervised was swimming). My mom made the best picnic lunches and was very supportive of my nature wandering, and my dad was always available to pick us up at the end of a canoe adventure and listen to our stories. In 2012 I surveyed people in my life and discovered that most of them rode bikes, climbed trees, swam, and had pets as children, and many also had the opportunity to go camping and plant a garden when growing up. My friends and I had a very different kind of childhood and significantly more unstructured outdoor playtime than children today. People my age, born in the 1950s and 60s, played outside for at least one hour/day, and often between 2 to 4+ hours (like we did). Educator Scott Sampson reports in How to Raise a Wild Child: "American children spend four to seven minutes a day playing outdoors--90 percent less time than their parents did, and more than seven hours each day in front of an electronic screen.” The range of play without adult supervision is also very different then it was for me, when kids ranged miles beyond their neighborhood; children today are often not allowed to leave their own backyard without an adult present. David Sobel explains, “Environmental stewardship isn’t rooted in knowledge-based education, but is grounded in early experiences in which children feel love for and oneness with their natural surroundings”. ​​If you are thinking, and just how do we go about changing this unhealthy paradigm?, you will be delighted to know that it is just a matter of re-prioritizing what we value as a culture. I would like to begin with the notion of childhood, and how it has been so drastically changed since the 1950s and 60s "when children were still regarded as miscreants rather than the artisanal projects that they have become today” (Barbara Ehrenreich). 1. The first thing on our list is to have nature become an ordinary everyday experience rather than an extraordinary one. This means that kids need to be able to go run around and explore in the woods, park, backyard, or garden, and also be encouraged to climb on rocks and trees and to get wet and muddy in the creek; all this instead of being over-scheduled after school and during the summer with competitive sports, music lessons, and carefully crafted "play dates". We need to provide nature parks adjacent to all our neighborhoods that allow for this kind of adventuring. 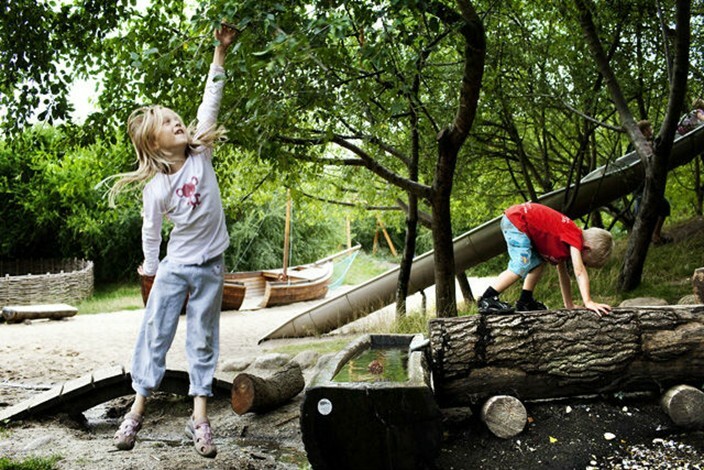 This movement has been strong in the EU for decades, with the idea that “of course our children need to play outside; how else will they learn?” In Australia, Nature Based Playgrounds are designed with “locally available natural materials and ‘earth forming’ techniques used in artistic ways to create places of adventure, engagement and exploration”. The designers work with the local community and the local ecology to create a nature-based adventure park that grows out of a unique sense of place. Greenworks of Portland, is one of the leaders in the back-to-nature playground movement in the Pacific Northwest. Nature-Based Parks allow for self-discovery: "children are free to roam the park and play in areas that are unlike any place they have seen or been to...The park was designed to represent a wilder, natural environment with an aesthetic that enables park users to feel as if they have left the City without going far from home". 2. The next step is to incorporate everyday nature into our school curriculums. 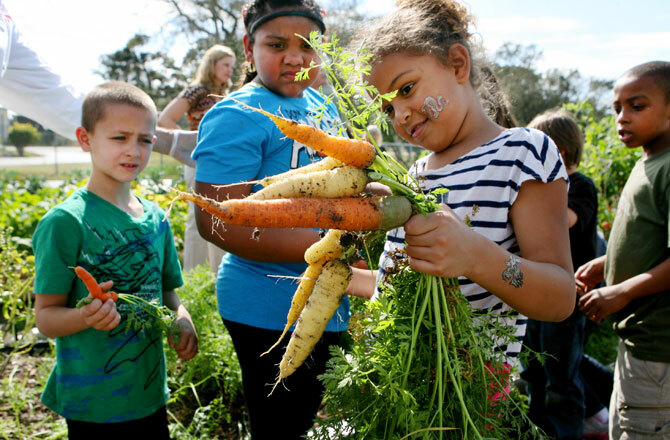 To do this, I propose that all schools will have a school garden that includes vegetable beds, a pollinator garden, worm bins, chickens, honeybees, compost bins, rain barrels, fruit trees and shrubs. Beginning with seeds and life cycles in Kindergarten, our children will become rooted in the curriculum. Getting their hands dirty, and breathing in the healthy, bacteria-rich (and happiness inducing) soil, they will have a deep understanding of where food comes from, and develop an innate understanding of how everything in nature is inter-related. The curriculum will grow with our children's ability to understand the environmental challenges that we are facing, and because they have a loving bond with the earth, they will want to do something about it. In middle school, our kids can partner with local food banks and practice cooking meals as they apprentice in the kitchen. This is also a time for students to learn about the disasters occurring, both locally and globally, and brainstorm ways that they can help turn things around. In high school, students will have the opportunity to work at neighborhood farmers markets and intern on local farms, as well as become advocates in the community for causes that they believe in. By engaging the students in the designing, planting, growing, harvesting, and eating food they have grown, we will be nurturing their physical, spiritual, and intellectual well-being. We will give students the knowledge and experience they need to develop sustainable and healthy habits as they become bonded to the soil they nurture. Did you hear about the Paul Quinn College in Texas? They converted their football field into an organic garden! 3. The third thing we can do is to transform our high-maintenance, chemical-dependent, and pesticide laden grassy lawns (that blanket our backyards, parks, and border our highways) into meadows. This would not only cut down on pollution and number of resources it takes to maintain a a turfgrass lawn, but will actually lower our carbon footprint while providing much needed habitat for urban wildlife. 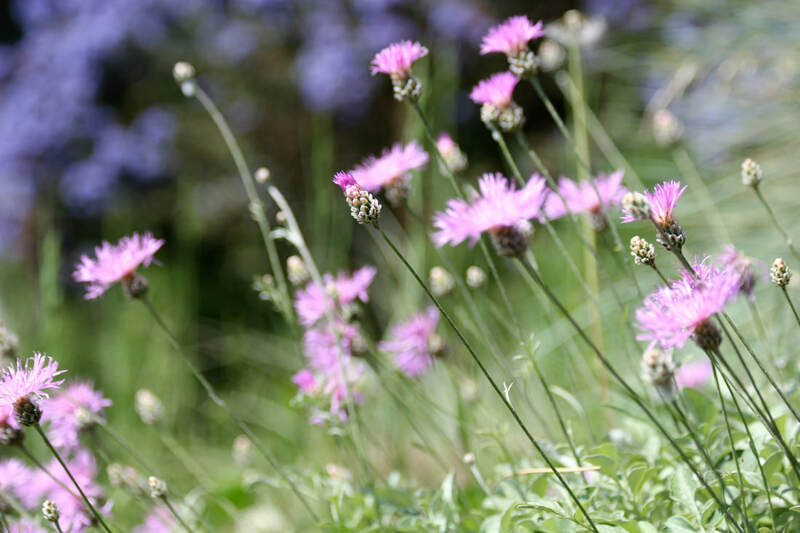 By the simple act of creating a meadow, biodiversity is increased, along with a beautiful and calming environment. Consider planting out your parking strip too, as a Pollinator Parkway. Create a corridor "so pollinators such as bees, butterflies, moths, hummingbirds, flies, wasps and other amazing fauna like ladybugs, beetles, and worms can thrive". These mini-wildlife corridors link existing urban habitats in a network that connects parking strips to backyards and public green spaces and gives us the opportunity to enjoy our insect and avian neighbors. Go Wild!